The crown of St. Edward is the oldest of the crowns of the British monarchy. 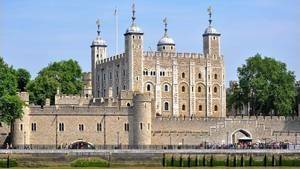 It is in the Jewels of the crown Hall, at the Tower of London, like the other elements of these jewels. This crown dates from 1661, the year of its manufacture. Just before Olivier Cromwell had it destroyed with a good number of other pieces of jewelry of the English monarchy, following the English civil war. 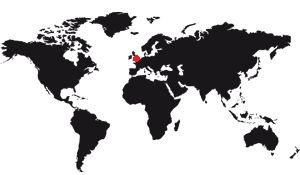 It has the exact form of the crown of St. Edward, the King of England which was crowned in 1065 and canonized later. This king was considered a reference in the course of English history and served many times as justification for the legitimacy of the throne. 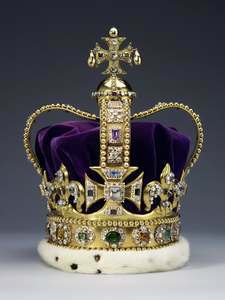 The original medieval crown was cast by parliamentarians during the reign of Oliver Cromwell in the mid-seventeenth century. When the monarchy was restored on May 29, 1660, new jewels had to be made before there could be a new crowning. A copy of some of the missing jewelry was therefore identical. This was done in order to modify a little the rules concerning the wearing of crowns and other ceremonial elements: These would only be worn at the coronation ceremony and more during the reign proper. The crown of St Edouard has a solid gold structure decorated with tourmalines, white and yellow topazes, rubies, amethysts, sapphires, garnet, peridot, zirconia, spinels and aquamarines. blade and mounted in enameled gold collars. It has a velvet hood with an ermine band for the comfort of head wear. The main band of the crown is bordered by rows of golden pearls mounted in sixteen clusters, each with a rectangular or octagonal stone cut in an enamel-decorated collar with acanthus leaves modeled, surrounded by topaz, aquamarine with pink circular shape. Above the strip are four crosses-patte and four fleur-de-lis mounted with clusters of large carved stones and smaller pink stones. The two arches are mounted with gold beads (which replace the previous rows of artificial beads) and brackets applied with enamel settings, containing cut stones and smaller clusters of stones in pink cut. The world, replaced in 1685, has similar frames and golden pearls and supports a crossed leg, with beads in the form of a drop and stones cut and cut in pink. 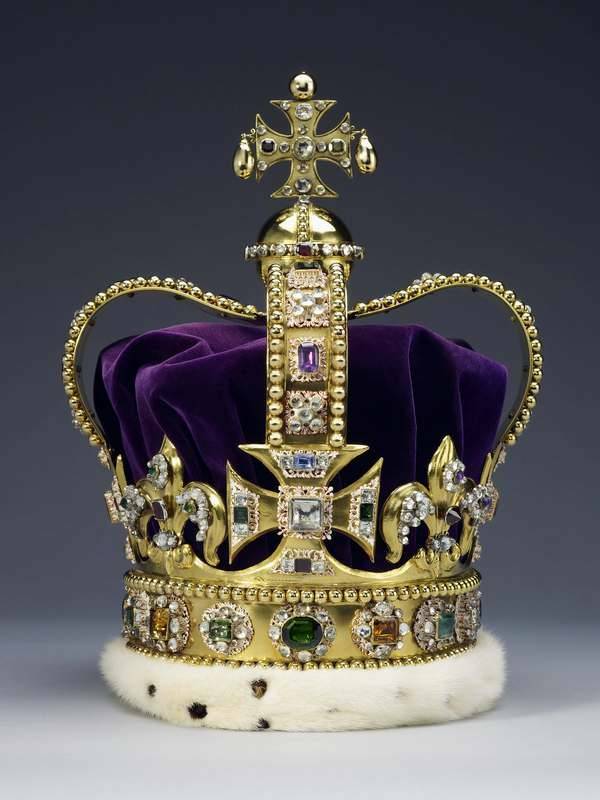 This crown weighs 2.23 Kg.